Our single-use Anterior Chamber Cannula, also known as Air Injection, Rycroft, and Viscoelastic cannula, is available from 19 to 30 gauge. 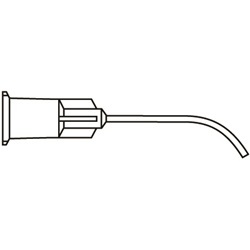 Every cannula has a curved shaft with a blunt tip. Overall length ranges from 22mm to 25mm. Sold 10 per box.